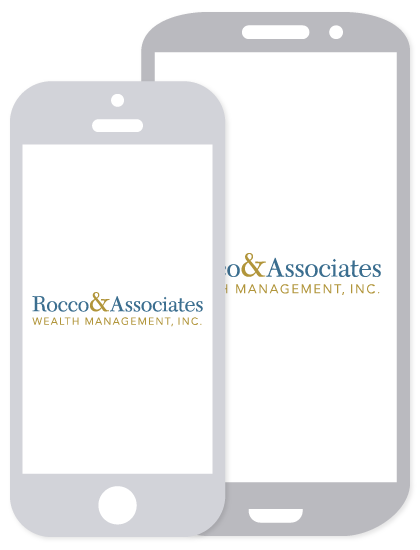 Fall is in the air here at Rocco and Associates and the office is abuzz with excitement leading up to several upcoming events, as well as some new and improved system enhancements. The 5th Annual Saugatuck Cup on October 12th was a huge success and our goal to act as a charitable conduit for local charities continues to gain traction within the community. The Saugatuck Cup is a charity fishing tournament that benefits the Children’s Tumor Foundation and Memorial Sloan Kettering Cancer Center. Since the charity’s inception in 2009, it has raised nearly $200,000. Our own Eric Johnson, Director of Business Development, has been at the helm since the beginning; acting as the tournament director, managing the day’s events, and reconciling all of the funds raised. On October 24th we will also be holding a unique educational event entitled Health & Wealth. We have partnered with Charged!, a personal training firm located just around the corner from our office. It is in our opinion that without your health, it is impossible to enjoy your wealth. As family financial planners, our job is more than just managing your investments, but also to help you enjoy your life from start to finish and staying healthy is a major part of that. The evening will begin at Charged!, where certified personal trainers, Bret and Joli D’Elia will guide us through some simple tips to maintain a healthy lifestyle, easy stretches that can be done from your office chair, and general consultation on nutrition. As always, bring your questions. This event is open to our current clients, as long as you don’t forget to bring a friend! Following our mini training session, we will meet at T&C Steakhouse in downtown Fairfield for a cocktail reception. Please call the office if you have questions about any of the details. On September 30th we were very excited to introduce our brand new online Account View system, this is just another way we are committed to helping you pursue your financial goals. The new system can be accessed from your home computer, tablet or smart phone and provides a secure, convenient, 24-hour online access to your investment account information. New features include total portfolio and any changes in value that occurred during the day. You can now also export your financial data for further analysis and tracking, as well as opt out of mailed statements and trade confirmations to do your part in helping the environment. Overall this new system offers simple navigation through accounts, positions and statements for an intuitive experience. Don’t hesitate to call with any questions! Another office initiative that you will see over the next quarter will be our transition to electronic signature (“E-Signature”) for those clients that want to take advantage of this more efficient tool. E-signature will limit paperwork as well as get documents to and from our office faster, giving you one less thing to worry about. In brief, rather than having to mail account paperwork back and forth for signatures, you will log onto a secure password protected website to view and electronically sign correspondence. Potentially this could mean same day processing, while again reducing our footprint on the environment. As the leaves begin to change this fall and usher in the winter season, it is a great time to once again review your overall financial plan, insurance needs, and any changes to your goals and objectives. There continues to be a lot of exciting happenings both inside and outside of our office. I encourage all of you to take advantage of what we have going on and share with others that you know. If you have any questions or comments about anything that we have going on or the new tools that have been launched, please do not hesitate to give the office a call.